Talk of impacting young lives and you will be talking about co2balance CSR project in Likoni; Shikaadabu primary school. This is a public mixed primary school in the Coastal region of Kenya. In February this year co2balance through its CSR initiatives helped the school put up a fence and agate as a way of giving back to the community with the understanding that kindness is the golden chain by which society is bound together. And guess what! The results are tremendous already. While speaking to the school head teacher Madam Khadija she categorically states that the project has been so helpful as it has effectively curbed truancy thus they are able to keep pupils in school. This is so because they are able to monitor anybody getting out of school and coming in. Initially lack of a fence led to high levels of truancy thus affected performance. The school had very poor results even in national exams since truancy levels were so high. Pupils could sneak out of school any time. The head teacher says ‘…. as a school we are very happy and we thank carbon zero so much, the community and parents are very happy and we are sure that even our performance will change since the school environment supports learning at least unlike before’. Further she states that because of the fence we can now do some farming on the school compound something we couldn’t do previously. 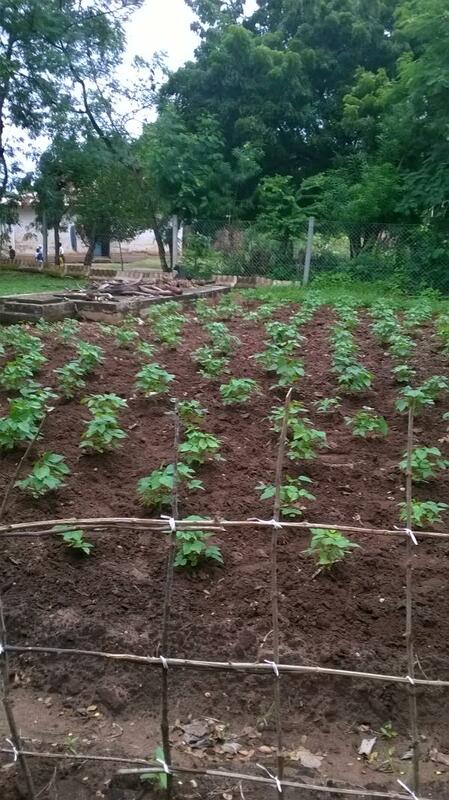 People would come in and steal our vegetables and other crops but now we plant our vegetables and other crops with ease. Currently we get our vegetables from the school farm. This is so good and we are happy.